EA released another Prime ICON Moments SBC in the new week featuring 93 Dennis Bergkamp, a Dutch legendary striker with fantastic technique, has received his fourth Prime card in Ultimate Team. Bergkamp’s famous goal against Newcastle United was selected as the best Premier League goal of the league history. To win Prime ICON Moments Bergkamp, you have to complete Dennis Bergkamp SBC. Here coin website fifa 19 offers the FIFA 19 Prime ICON Moments Bergkamp SBC cheap solution & squads with price, challenge details and Prime Moments Bergkamp player review. Reference price based on Mar. 19 on PS4 and Xbox One is about 5K. Reference price based on Mar. 19 on PS4 and Xbox One is about 6K. Reference price based on Mar. 19 on PS4 and Xbox One is about 32K. Reference price based on Mar. 19 on PS4 and Xbox One is about 340-370K. Reference price based on Mar. 19 on PS4 and Xbox One is about 16-20K. Reference price based on Mar. 19 on PS4 and Xbox One is about 40-44K. Reference price based on Mar. 19 on PS4 and Xbox One is about 113-115K. Reference price based on Mar. 19 on PS4 and Xbox One is about 152-154K. Reference price based on Mar. 19 on PS4 and Xbox One is about 223-232K. Reference price based on Mar. 19 on PS4 and Xbox One is about 304-318K. Dennis Bergkamp, play as a striker or forward with amazing shooting ability, how to review Prime Moments Bergkamp and does the SBC is worth to do? Let’s see the in-game stats of FUT 19 Prime ICON Moments Dennis Bergkamp. 96 shooting, 87 passing, and 94 dribbling, 98 finishing, 94 shot power, 97 position, 92 vision, 91 short pass, 99 reactions, 98 ball control and more, Bergkamp has really nice stats to play as a CAM in the matches, you can apply an Artist chemistry style to boost his long pass and other attributes make him perform better. As a striker, his pace is not outstanding. There are no big negatives on this card. Overall, this is a really good card and he’s definitely an endgame player. The cheapest solution to complete FIFA 19 Dennis Bergkamp Prime ICON Moments SBC need cost about 1.2-1.3M FIFA 19 coins. Compared to other Prime Moments SBC, it requires fewer TOTW cards, in addition, except for the 93 rated Bergkamp cards, you can earn 10 FUT packs value for 482.5K coins, the Bergkamp SBC is definitely worth doing. 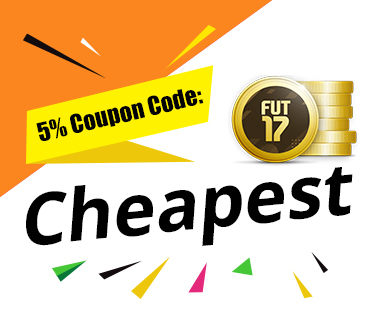 Check price of fifa coins for 1 million fifa 19 coins and packs coins fifa 19 now from trusted fifa 19 coin seller to know about how to get fifa coins as quick as possible and fifa players cheap with the fifa coin promotion code.